In a day that already saw the Montreal Canadiens make a blockbuster deal, the Edmonton Oilers just had to get in on the fun. 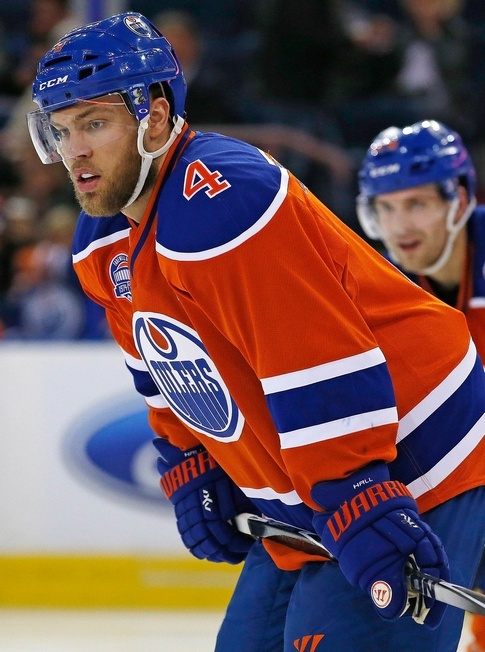 The Oilers sent Taylor Hall to the New Jersey Devils for defenceman Adam Larsson. On the surface, this trade addresses a need for the Oilers. Larsson, the Skellefteå native, fits general manager Peter Chiarelli’s need for a right-handed blueliner. The 23-year-old Larsson was the fourth overall pick at the 2011 NHL Entry Draft. He’s been a part of New Jersey’s top defensive pairing with Andy Greene and he’s a stable player with a considerable frame and a nice point shot. He’s primed to take the next level in terms of overall minutes, too. But come on, we’re talking about Taylor Hall. For Edmonton fans, this is the part that stings. The 24-year-old from Calgary was part of Edmonton’s youth movement, part of the core of this exciting but underachieving franchise. He had 65 points in 82 games last season and 328 points in 381 career games, all with the Oilers. He was the first of four number one draft picks for Edmonton, the first of the train of young talent that included Ryan Nugent-Hopkins, Nail Yakupov and Connor McDavid. Hall, who went on to say that he took the trade as an indictment of himself as a hockey player, has every reason to feel slighted. For Chiarelli, this is about movement. As in, someone had to go. The GM had been pounding the trade market for months in hopes of snagging some amount of return on investment. He had to ditch one of the bigger contracts in order to free up some green and Hall was at the top of the list, at least in terms of what the Oilers could get back. And with Edmonton literally walking Milan Lucic through a possible deal, the money will come in handy. So while this trade looks more sensible than the Subban/Weber swap, it won’t hurt Oilers fans any less – at least for now.